There is a long list of Tesla Semi Truck doubters that appeared prior to its reveal. A Forbes article was titled, “Will anybody actually use Teslas Truck?” The article lays down the gauntlet, but it is based on the mistaken assumption that the truck will only have 200 to 300 miles of range. Instead, the Tesla Semi’s lowest range is 300 miles. At gross vehicle weight (GVW) & highway speed, it can go 500 miles. It recharges to 80% (or 400 miles) in 30 minutes, and goes up hills at full speed. Going flat out on the relatively flat Midwest Plains, it would only stop for 30 minutes to travel 900 miles. Given truck driver hour laws, it’s unlikely the 30 minute charge break would make any difference. 500 miles is nearly 8 hours of driving, and a 30 minute break is required. It’s possible two drivers could exceed this, but truck stops are full of sleeper cabs, equipped for taking a break overnight. Diesel semis are notoriously slow on uphill grades, and may need to stop to cool brakes on downhill grades. 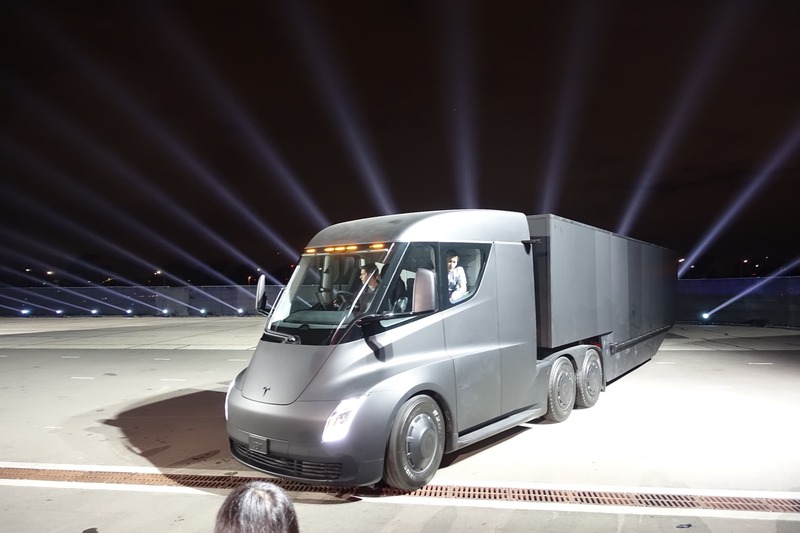 The Tesla truck is able to drive up grades at higher speeds, putting in more miles every hour. Another claim is that the Tesla truck will take the power of 4,000 homes to recharge. The largest Tesla Semi battery pack is believed by many to be 1,000 kWh. An average US home uses about 30 kWh a day. That would make a full recharge equal to the average daily energy use of ~33 US homes, not 4,000. Yes, power at any given moment is different — and the Tesla Semi is powerful and can reportedly charge using Megachargers — but much more relevant is energy use (and articles like the one mentioned above mislead people into thinking the truck uses as much energy as 4,000 homes). Many pundits incorrectly guessed or estimated the Tesla battery pack would be much larger than a calculation from Tesla shows. 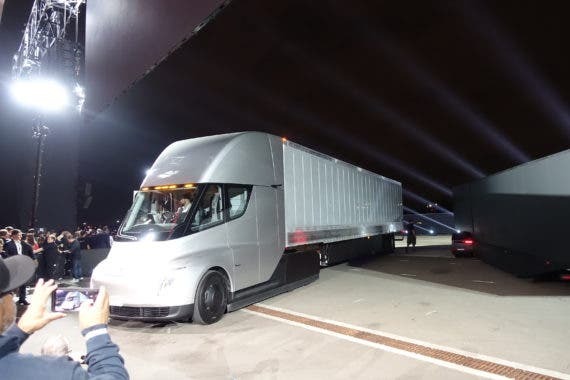 Tesla claims the Semi is capable of less than 2 kWh/mile, making it possibly the most energy efficient semi truck ever. Based on that, the battery pack sizes are presumably less than 600 kWh for 300 miles and less than 1,000 kWh for 500 miles. Pundits clearly missed the improved efficiency of the Tesla Semi. The truck coefficient of aerodynamic drag, Cd, is posted at 0.36, better than some sports cars. One pre-event article estimated the 300 mile range truck would have a pack size of 1,000 kWh. The lowest Cd expected was 0.45. The price for the base 500 mile range Tesla Semi is $180,000. No doubt, the incorrect battery pack size played a part in that higher estimate. But MIT was not the only source that doubted the Tesla battery pack size. “A Carnegie Mellon study estimated that a battery pack capable of pulling a big-rig 300 miles would cost about $200,000. The article, to its credit, does get it right about other details of the electric truck, however. “Over-the-road trucking is usually performed by solo drivers. Under current hours-of-service regulations, a solo driver can usually cover 500 miles before taking a mandatory 10-hour rest break. This rule has not always been rigorously enforced, but starting in December of this year the Department of Transportation is requiring that trucks begin using electronic logging devices for recording their actual hours of service. “These claims are so far beyond current industry standards for electric vehicles that they would require either advances in battery technology or a new understanding of how batteries are put to use, said Sam Jaffe, battery analyst for Cairn Energy Research in Boulder, Colorado. In some cases, experts suspect Tesla might be banking on technological improvements between now and the time when new vehicles are actually ready for delivery.